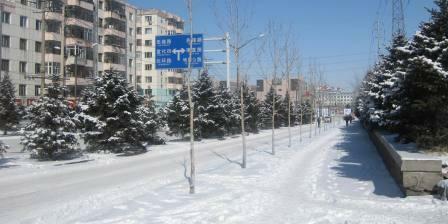 Spring time has arrived in Harbin. The weather is warming into the 30-40s most days now. And instead of spring time rain, we get spring snow! Please remember everyone as they travel about the city. The snow melts during the day, but freezes again each night.